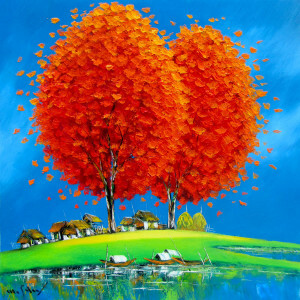 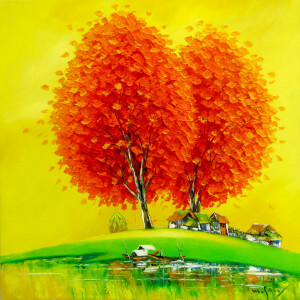 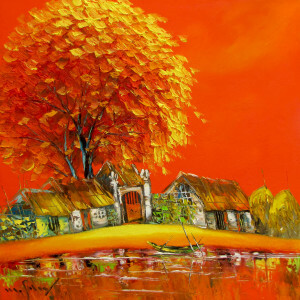 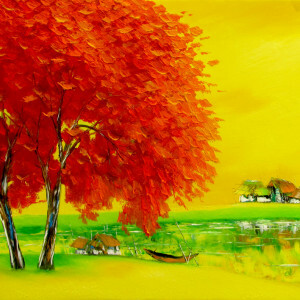 The featured piece is a beautiful representation of contemporary landscape painting by an Asian artist. 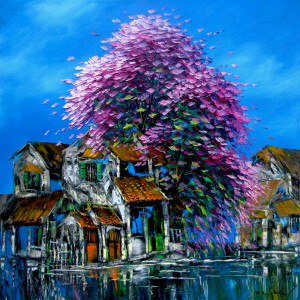 This composition bears his signature style of perfectly balanced composition, the canvas divided between the houses behind the water body and the large tree in the foreground. 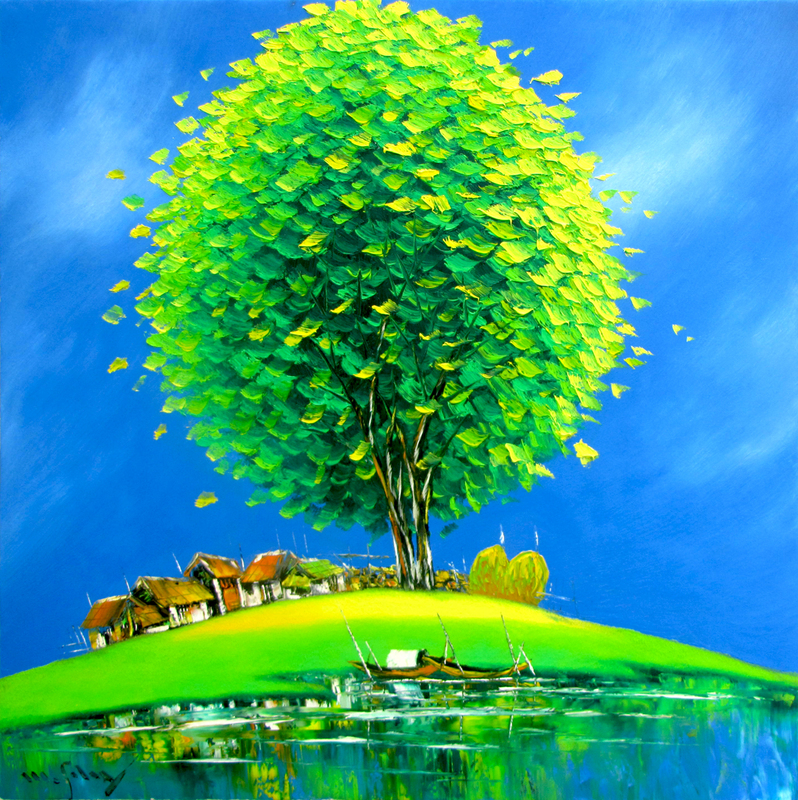 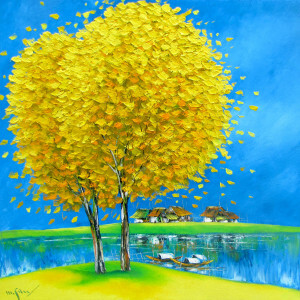 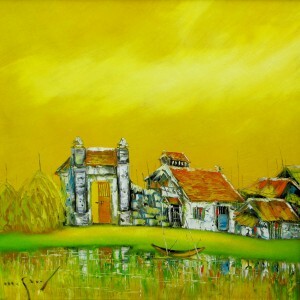 Greens, blues and yellows dominate this landscape painting by Nguyen Minh Son.